GHOSTS: AN HISTORICAL JOURNEY PART 3 HONEST ABE Ghosts are not the exclusive domain of any race, religion or class. In fact, belief in the spirit world would also touch the highest branch of our government. It has been long speculated that Abraham Lincoln utilized psychic mediums and clairvoyants to gain insight into the ongoing Civil War. Many also claim that Lincoln himself had the gift (or curse) of precognitive abilities. Whether this is true is a subject of debate, but First Lady Mary Todd Lincoln, would regularly hold séances in the White House. Using a psychic medium, she earnestly sought to contact her dead sons. In 1862, their beloved son Willy died at the age of 12. Willy was a brilliant child, very advanced in reading and in many ways resembled his father more than any of the other sons, Eddie and Tad. Lincoln was crushed by his death. Spiritualists did indeed frequent the White House although it is only pure conjecture to assume that Lincoln ever really employed them in making crucial decisions. In fact, he kept a rather healthy distance from them lest he become the object of derision from the Washington elite. Nonetheless, some would volunteer their insights to him and many of those were of a very dark nature as if catastrophe was inevitable but Lincoln, since the death of Willy, was already in a dark place. Still, reports exist that while attending a séance conducted by a medium named Nettie Maynard in 1863, a piano levitated off the floor as the medium was playing it. Lincoln and an associate climbed onto the piano and eventually had to abandon that when the piano began to shake ever more violently. While Lincoln downplayed any contact with Spiritualists, Mary was the opposite. She had turned to them almost immediately after Willy’s passing as if trying to achieve some type of closure through any means possible. Her grief - like her husband’s - consumed her, but she did not cope as well publicly as he did. She began to exhibit unstable behavior because of her bereavement and there were many who cast blame on the Spiritualists for playing a large role in her growing mental instability although they were likely just an easy target. Then, on April 14, 1865, John Wilkes Booth gained access to a private box at the Ford Theater where the Lincolns sat watching a play called “Our American Cousin” and fired a pistol, taking the life of the President. But shortly before this happened, it is said that Lincoln foresaw his own death in a dream. One night he told his wife Mary and his chief of security, Ward Hill Lamon of this vision. He claimed that ten days prior to that night, he went to bed late and began to dream. He began to hear the sobbing of a great number of people. He then felt as if he got out of bed and started downstairs. Again, he heard the sobbing, yet no one was there. Going from room to room, he found no one, yet the sounds of weeping continued. He continued on to the East Room and went inside. There he saw a casket and inside a body adorned in funeral garb. It was surrounded by soldiers and it was only then he could see the mourners, crying as they looked upon the body whose head was covered. He asked one of the soldiers who this was in the casket. The soldier replied, “The President.” It was at that point he awakened from his dream, but remained tormented by it in the days to come. This is not the end of Lincoln’s story as it pertains to the supernatural. One night many years later, British Prime Minister Winston Churchill paid a visit to the White House and spent the night there. Before retiring for the the night, he climbed into a hot bath with a cigar and a glass of scotch. 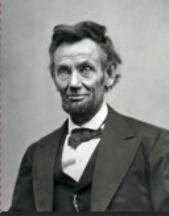 He glanced over at the fireplace and saw the specter of President Lincoln leaning on the mantle. Their eyes met and then, President Lincoln vanished into thin air. There have been further reports from dignitaries and world leaders who have spent the night in the Lincoln bedroom of the sounds of footsteps and door knobs rattling. As for Mary Todd Lincoln, she maintained her belief in the supernatural and her devotion to spiritualism. A photographer from Boston, Mass. named William Mumler claimed he could take photographs of the dead and sometimes would have grieving subjects pose for him. When the photo was developed, the image of the deceased loved one would appear in it. There is some real debate as to the veracity of these claims, and Mumler was denounced as a fraud by many, but that did not deter Mary Lincoln who posed for Mumler and the resulting photograph looked like this. GHOSTS GONE WILDE Oscar Wilde wrote but one novel, but it had a great deal of influence in the world of the unexplained. It was called The Picture of Dorian Gray. In it, a painter sells his soul to remain young, offering a portrait he has painted to absorb and display all the wear and age on his body and countenance. Wilde was born in Dublin and was a brilliant scholar. He spoke both French and German and embraced the philosophy of aestheticism where art had no deeper meaning than its actual appearance. He had a rather acerbic wit, dressed flamboyantly and was a skilled conversationalist. Wilde met a very tragic end at the age of only 46. Lord Alfred Douglas was Wilde’s lover and Wilde attempted to have Douglas’s father, the Marquess of Queensbury prosecuted for criminal libel. However evidence was obtained that caused Wilde’s own arrest for gross indecency with men. He was convicted and sentenced to two years of hard labor. Upon his term ending, he left for France and never returned, dying penniless in Paris. Wilde was also responsible for one of the very first forays into interaction spirits as comedy with his novella, The Canterville Ghost. It was and still remains a classic bit of humor with a paranormal backdrop and the precursor to the Abbot and Costello and Bob Hope films of the 40s and 50s where monsters and ghosts were comedic fodder. The story concerns the Otis family who move into Canterville Chase from America and ignore all warnings from Lord Canterville that the house is haunted. The family as a whole do not believe in ghosts, but soon hear all the typical ghostly devices, the rattling chains, disembodied footsteps and blood stains that show up near the fireplace that they dutifully remove only to have them reappear in various forms. Mrs. Otis at one point makes her position clear by saying, “I do not at all care for blood stains in the sitting room.” The family remains undaunted and in one particularly hysterical encounter Mr. Otis offers to oil the chains the spirit is bound with. The story is a wonderful commentary on modern American consumerism with the family using all sorts of household products to help eradicate the ghost vs. the staid, traditional English attitudes toward the spirit world. The ghost, Sir Simon Canterville remains steadfast in his determination to scare the family, morphing into different forms, each more hideous than the last, yet the family does not waver and soon the ghost feels humiliated by their lack of fear. The combination of ancient spirits and contemporary culture results in situations where Mrs. Otis offers something called, “Doctor Dobell’s Tincture” to the ghost assuming his groaning might be the result of indigestion. She goes so far as to consider joining a psychical research group to help her better understand the ghost and his issues. Meanwhile the ghost, Sir Simon, displays a theatrical bent in trying to scare the family, alternately switching roles as if he were performing on stage, but his different incarnations that have been successful in the past yield no results from the Otis clan. They go so far as to lay booby traps for him all over the house, most of which he stumbles into only exacerbating his growing humiliation. Sir Simon throughout the story begins to open up about his life and what made him who he is. He finds an ally in teenage daughter Virginia who takes him seriously and he tells her the story of losing his wife, Lady Eleanor as well as the torment he has to endure including not sleeping in over 300 years. Finding a kindred spirit, Sir Simon asks her to pray for him, weep for him and finally accompany him to the Angel of Death to beg for release for Simon. She does all these things and eventually returns bearing jewels and gems and informs the family that Simon has indeed passed on to a better place. CAN YOU GIVE ME A LIFT? One of the most enduring ghost stories in more contemporary times is that of the “ghostly rider” or “Phantom Hitchhiker”. In Chicago, the year is 1936 and a young man named Jerry Palus spends the night at the Liberty Grove dance hall. There he meets a young lady who he hits it off with so they dance the night away. When the music stopps, Palus offeres her a ride home which she accepts. She instructs him to drive down Archer Avenue and he complies, but when they reach the Resurrection Cemetery, she tells him he should just drop her off there. Whether he protested this unusual destination is unknown, but she goes on to tell him he can not follow her where she needs to go. As his eyes follow her, she reaches to the gate of the cemetery and simply fades from sight. This figurant phantom would become known as “Resurrection Mary”. For decades, motorists in south Chicago have related tales of their harrowing encounters with Mary. Some even claim she has jumped up on the running boards of their cars, but all describe her as looking the same; wearing a white dress and dancing shoes. It was at another dance hall called the O Henry Ballroom - which later became the Willowbrook Ballroom- that Mary truly became the stuff of legend. She would be there, alone, and men whom she shared a dance with would say her body felt cold and she exhibited a very morose, disinterested demeanor. But the end of the evening the story was the same; a ride down Archer Avenue and the drop off at the cemetery where she would vanish into thin air, or in some accounts, simply disappear right in the passenger seat. Other variations would have her walking down the side of the road and vanishing as a car approached or actually walking in front of a moving vehicle and being struck down only to again vanish as the driver got out to check her condition. So who is Resurrection Mary? The claims of her true identity are as wide and varied as the acts of terror she perpetrates on unsuspecting drivers. In one version, she is the victim of a hit and run driver who struck her on Archer Avenue as she walked home from the O Henry Ballroom after an argument with a boyfriend. The white dress she is seen in was her burial garb and the dancing shoes were a posthumous tribute to her favorite activity. Another version identifies her as a woman named Mary Bregovy who met a similar demise and whose body rests in Resurrection Cemetery, but the scene of the accident and her appearance differs dramatically from that reported by shocked motorists who have encountered the specter on Archer Avenue. What might have led to this dubious claim is speculation from a former cemetery caretaker who offered his opinion that the ghost was indeed Mary Bregovy setting off this (probably) false conclusion. Perhaps the most disturbingly incredible account of a brush with Resurrection Mary took place on August 10, 1976 when physical evidence of her presence was discovered. A passing motorist noticed a girl in a white dress standing inside the gates of the cemetery late one night. She was gripping the bars staring out at the street. At first, the driver considered this an odd sight, but became rather concerned that she had been accidentally locked inside the cemetery, so he stopped at the nearest police station to alert them to this possibility. When an officer drove to the location he found no one there. He left his cruiser and approached the gates and noticed to his astonishment that two bars had been pulled apart in opposite directions. Further inspection revealed there was something resembling burn marks that contained the image of actual handprints imprinted into the metal. As word spread of this anomaly, curious onlookers flocked to the cemetery in droves until it was decided to cut out and replace the bars to discourage the intrusions. It is quite possible that this is just another variation of the oft-told urban legend concerning “phantom hitchhikers”, Chicago-style. In many places throughout the world, tales of ghostly hitchhikers mirror exactly this type of story with only slight variation Most notable are the A229 Road in Kent England, the Red-Headed Hitchhiker of Route 44 in Rehoboth, Mass. and the Niles Canyon ghost in northern California. However, because of the quality of details put forth by eyewitnesses. Resurrection Mary might stand as the most valid and ultimately curious example of all of them. GHOSTS ON FILM It is often said that life imitates art, but the opposite is also true and nowhere is there a more unnerving, albeit entertaining example of this than in the form of Hollywood adaptations of a ghost story “based on actual events.” Some of the more highly successful films of this genre have resulted in “franchise” series such as “Nightmare on Elm Street”, “The Conjuring” and “Friday the 13th”. But what of the stories that triggered their success and led millions to flock to theaters to see further installments of the catalog. Here are some frightening tales that inspired some of the more successful movies ever created. In 1949, the Washington Post ran a front page headline that read, “Priest Frees Mt. Rainier Boy Reported Held in Devil’s Grip.” It detailed the harrowing confrontation between Jesuit priests William Bowdern, Raymond Bishop, Walter Halloran and Edward Hughes and a demonic entity that had possessed a boy who was identified only by “Roland Doe” in Maryland. They watched in equal parts horror and amazement as they listened to the boy speak in tongues, watched objects being propelled across a room and his bed shake and levitate off the floor. It was decided an exorcism had to be performed, one of only three sanctioned by the Catholic Church at that time. The actual rites took place at Alexian Brothers Hospital in St. Louis, Missouri and the boy’s home was not in Rainier, Md, but Cottage City, Md. The story went on to be the basis for one of most iconic and controversial movies ever made, The Exorcist. It was adapted from a book of the same name written by William Peter Blatty in 1971 and combined elements of the Roland Doe story and the Loudun possessions in 1634 France. Soon after the book’s release, director William Friedman was tabbed to direct the big screen version which essentially ended up scaring the hell out of millions across the world. Friedkin told the magazine Time Out that the Washington Post article lent significant credibility to the entire story. “That’s pretty out on a limb for a national newspaper to put on its front page. I don’t think you’d see that too often nowadays. Possibly in a Murdoch paper. But you’re not going to see that on the front page of an intelligent newspaper unless there’s something there." Psychiatrists who have studied the case generally concluded Roland Doe was in fact suffering from mental illness and some of the alleged phenomena was hoaxed by the boy with little objective inquiry from the priests. He was also known among his friends and family as very much an elaborate trickster. In his 1993 book, Possessed: The True Story of an Exorcism, author Mark Opsasnick reported that Father Halloran said he never heard the boy’s voice change and thought he likely mimicked Latin words he might have heard the priests say rather than had them channeled by a third party. Opsasnick wrote, "To psychiatrists, Rob Doe suffered from mental illness. To priests this was a case of demonic possession. To writers and film/video producers this was a great story to exploit for profit. Those involved saw what they were trained to see. Each purported to look at the facts but just the opposite was true — in actuality they manipulated the facts and emphasized information that fit their own agendas." In the quiet village of Harrisville, R.I. in the year 1970, the Perron family moved into an old farmhouse. Roger and Carolyn Perron had five daughters, Andrea, Nancy, Christine, Cynthia and April and felt this would be a wonderful place in which to raise them. What they experienced there has gone on to be the catalyst for the blockbuster Warner Brothers film, The Conjuring, which has spawned a sequel and spin-offs Anabelle, Anabelle: Creation and The Nun. It is told from the perspective of famed paranormal investigators Ed and Lorraine Warren who investigated strange events at the house in 1971. 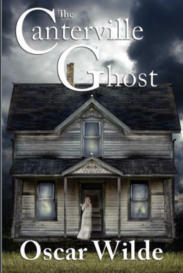 In 2011, oldest daughter Andrea published the first of a book trilogy recounting the family’s experiences titled, House of Darkness House of Light. They encounter a host of supernatural activity during their time there, from strange voices in the middle of the night to furniture moving on its own. In one case, a spirit who made themselves known to the girls was thought to be the ghost of a Mrs. Arnold, whose family previously owned the property. The girls claim she would tuck them in and kiss them goodnight. Another was called “the sweeping ghost” who would literally sweep the floor, the only evidence of which was the presence of a pile of dirt where they had finished. While this somewhat benign activity was fairly commonplace, there was darker side of their haunting. At 5:15 a.m. something that smelled of “rotting flesh” would wake the family by lifting their beds and sometimes tossing them off it. There were spirits who would pull the girls hair and limbs and one in particular, a male spirit, whose actions are still of a nature the family will not speak of. But some of the very worst is alleged to have come at the hands of a suspected witch named Bathsheba Sherman. The former Bathsheba Thayer married Judson Sherman in Thompson, Connecticut on March 10, 1844. Together they lived on the farm and were considered fairly well-heeled people and at the age of 37, Bathsheba gave birth to a son, Herbert Sherman in 1849. For reasons that are still debated, Bathsheba was thought by many in the area to be a witch and some speculate it was because of the deaths of her other children under “suspicious” circumstances. No census records are available that confirm she and Judson indeed had other children, but on a family genealogy website, their names are listed as Julia, Edward and George and its likely they died before the next census could be recorded. There is also nothing that indicates Bathsheba was actually a witch or practiced anything resembling the dark arts, but the stigma may stem from envy of her neighbors as a lovely and well-kept woman or from a reported incident where a neighbor’s infant left in her care died under mysterious circumstances in the 1800s. As the story goes, an examination of the child revealed the cause of death to be a needle driven through the base of the baby’s skull. Some concluded the infant was an offering to the devil. Eventually, Bathsheba was found innocent, but the stigma of the incident would follow her throughout her life. Bathsheba died in 1885, 4 years after her husband’s passing. Her presence and ultimate role in the haunting of the Perron home also is the subject of some debate and it was Ed and Lorraine Warren who reached the conclusion she was some type of embodiment of evil. Carolyn told them a story of something that happened to her a few years earlier when she was lying on the sofa and suddenly felt a sharp pain in her calf and noticed a puddle of blood had formed. She could not explain the puncture in her leg. Andrea in her book described the wound to be a “perfectly concentric circle” and equated it to having a large sewing needle impaling her. Lorraine then offered a theory that Bathsheba might well have taken the needle into the afterlife with her and was brandishing it as a weapon as she did against the infant in her care. It was at that point she became convinced that it was Bathsheba terrorizing the family and perhaps saw Carolyn as a threat to her dominance there. It was during a séance presided over by the Warrens that Carolyn experienced her possession, leading to the family’s realization that the Warrens inadvertently had made things worse. Andrea claims one family owned the house through eight generations and many of them died there. The property was also the scene of two suicides by hanging and another by ingesting poison as well as two drownings and four men freezing to death. An interesting side note to the story is the day the Perron’s moved in, the seller of the house ominously told Roger to “leave the lights on.” When asked why the family simply didn’t leave the house, Andrea Perron told USA Today, "I hear that question most every day. I think we were supposed to have this experience and share it with the world." The character of Freddie Krueger, the shape-shifting, knives for fingers wielding, dream invading monster from director Wes Craven’s historic and successful Nightmare on Elm Street series, actually has a background more based in reality than most people even know about. In 1987, The LA Times published a story about the strange deaths of refuges in a far away land. One that is quite dissimilar to the affluent suburbs that formed the setting of Freddie’s killing sprees. The article stated that, "Since April, 1983, at least 130 Southeast Asian refugees have left this world in essentially the same way. They cried out in their sleep. And then they died." Oddly enough, this is not some conspiracy-based theory where dots are being connected. In Asian culture, this is something recognized. According to Dr. Robert Kirschner in that same article, "In the Philippines, it's called bangungut, in Japan pokkuri, in Thailand something else. "But it all roughly translates as the same thing: nightmare death." None of the victims displayed any signs of illness or disease, they hailed from the same communities and all died in the midst of a nightmare. Autopsies showed that at least some of the victims died when their hearts just suddenly stopped. But Dr, Kirschner found something else quite puzzling. "All of the 18 hearts [he examined] were slightly enlarged, and 17 showed defects in their conduction systems, the array of fibers that carries electronic impulses from the brain to the heart. The fibers were frayed and curled, as if, their hearts just shorted out.'" It is very odd that all of the bodies examined by Dr, Kirschner would have the same genetic defect, but what makes the story even more bizarre is that a nightmare could trigger such a devastating physical reaction. In the case of the victims Kirschner autopsied, 17 were men and one a woman. They came from the Hmong province in Laos. They emigrated to the U.S. in 1975 in fear that the communist regime of Pathet Lao were committing genocide against its people since Lao had taken over. Many of the victims were anti- communist soldiers who aided the American cause during the Vietnam War. Hmong was a very isolated culture that was dragged into the war and very few spoke English when they arrived here. The chief religion was based on Animism, the belief that everything possesses a spirit. It is surmised that this traumatic move to a new country and its customs played a large role in the anxiety and stress they bore and sought out doctors repeatedly for illnesses both real and imagined. Over time, all 18 were found dead in their beds, and the cause of death was listed as “probable cardiac arrhythmia”. But the untold secret here is that another cause is suspected that few, if any doctors will speak of and it’s called, “oriental nightmare death syndrome” which is now called “Sudden Unexpected Death Syndrome”, a condition that affects Hmong and Filipinos and claims 43 out of 100,000 victims a year. In short, these people die because they believe whatever they experience in their worst dreams. In their culture, there is an entity that closely resembles that of the “succubus” and it is called the “dab tsuam”. It comes in the form of a jealous woman who takes males away to the afterlife while they sleep. The belief in these entities is so powerful that men will dress as woman to fool it before they go to sleep. In Filipino culture, they are called the Bangungot which is their word for nightmare. These entities take the form of a hag which sits on their chest, effectively suffering them to death. It is no surprise that many associate this with what is commonly known as sleep paralysis, but it is astounding that the belief system of these people overrides any rationality in terms of what can be a debilitating, yet temporary condition and the anticipation of the likelihood of this happening to anyone during a dream can prove to be fatal. There are other films like Child’s Play (Robert the Doll), The Texas Chainsaw Massacre (Ed Gein), The Haunting in Connecticut (Al and Carmen Snedeker), The Entity (files of Barry Taft and Kerry Gaynor), The Exorcism of Emily Rose (Anneliese Michel), Conjuring 2 (The Enfield Haunting) to name just some of a much longer list that fall into this category.